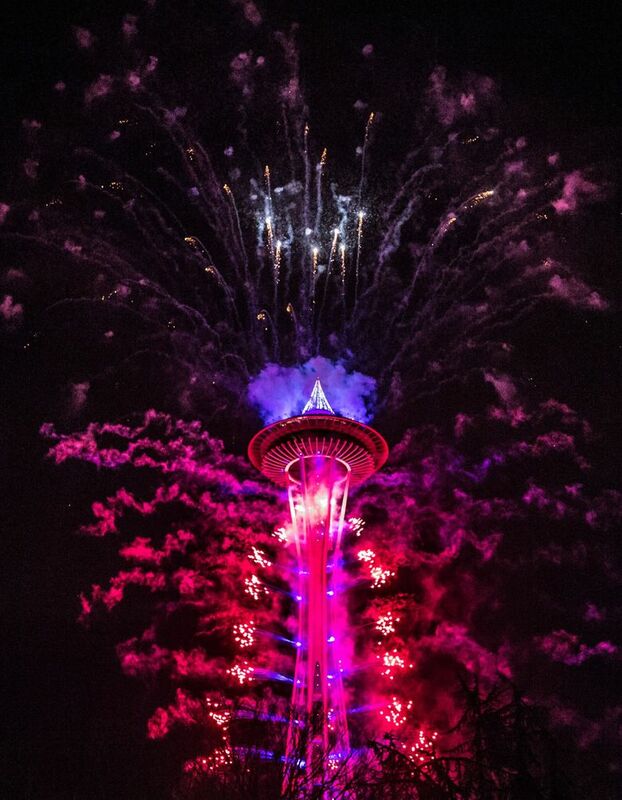 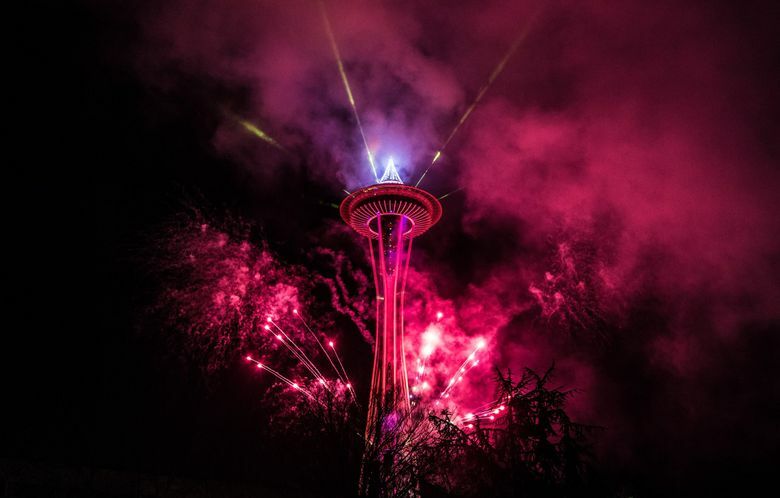 Seattle rang out the old year and rang in the new with a spectacle that lit up the downtown skyline even more than usual: Before the fireworks, the Space Needle gleamed in a light show. 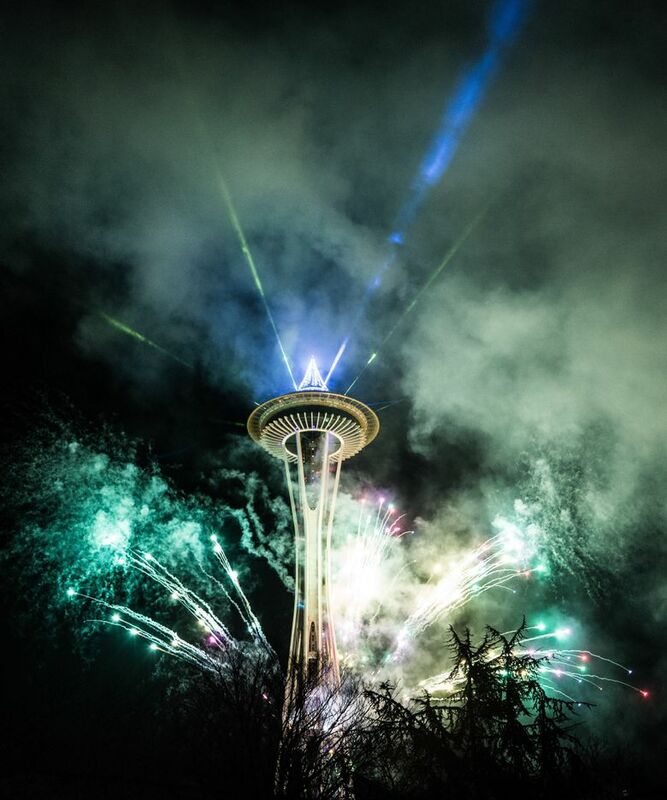 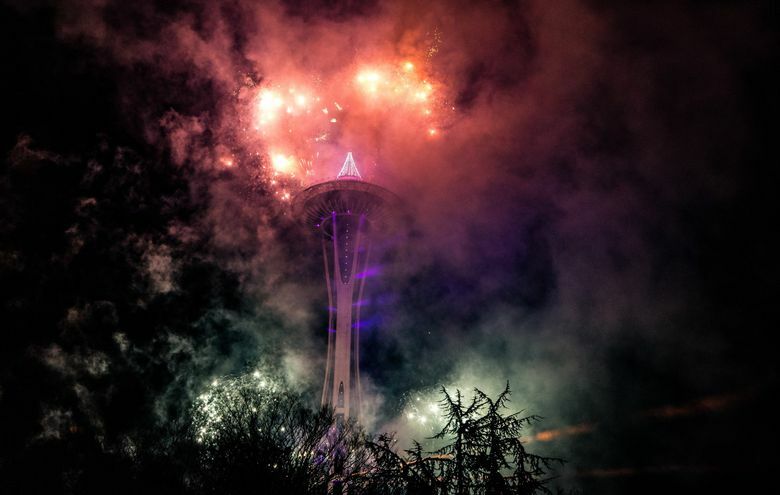 Seattle rang in 2019 with a spectacle that lit up the downtown skyline even more than usual. 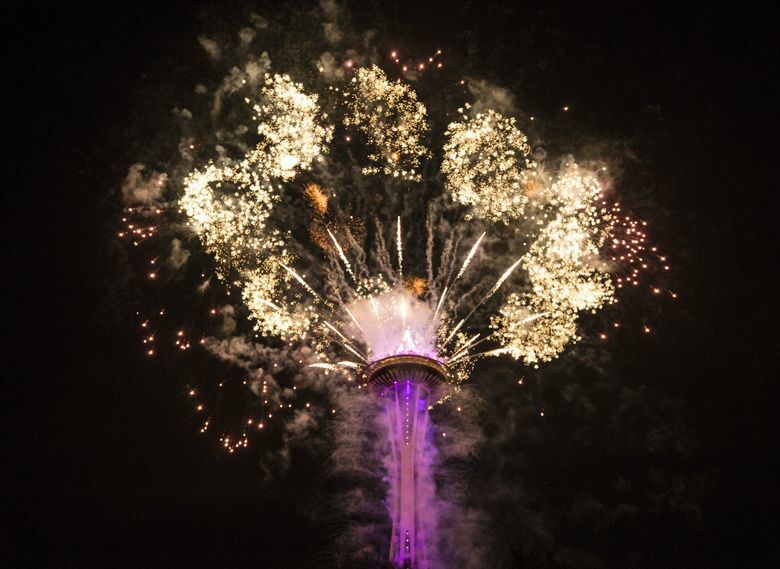 In a new twist on its long-running annual fireworks show, the Space Needle this year started the night with a light show at about 10 p.m. 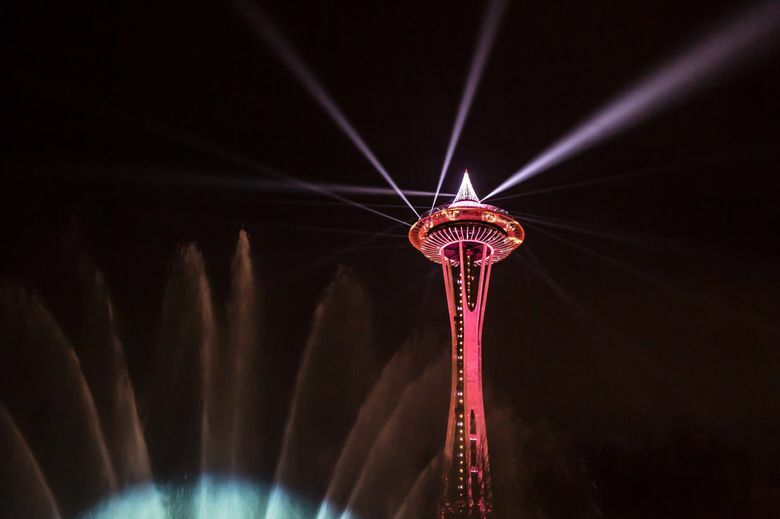 The landmark used a million dollars’ worth of equipment that took several days to install for the show, which was set to music playing on KISS 106.1 FM, said Space Needle spokesman Dave Mandapat. 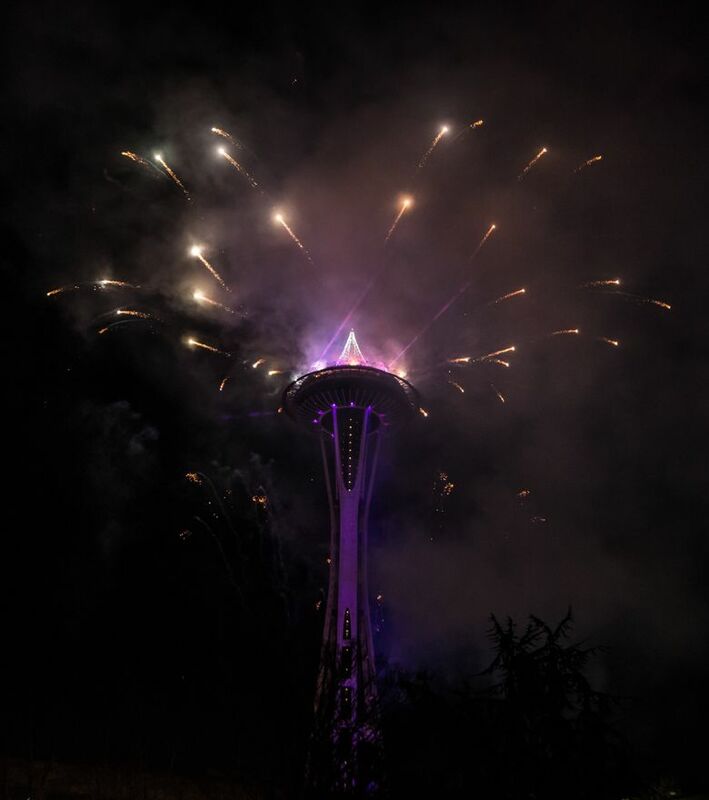 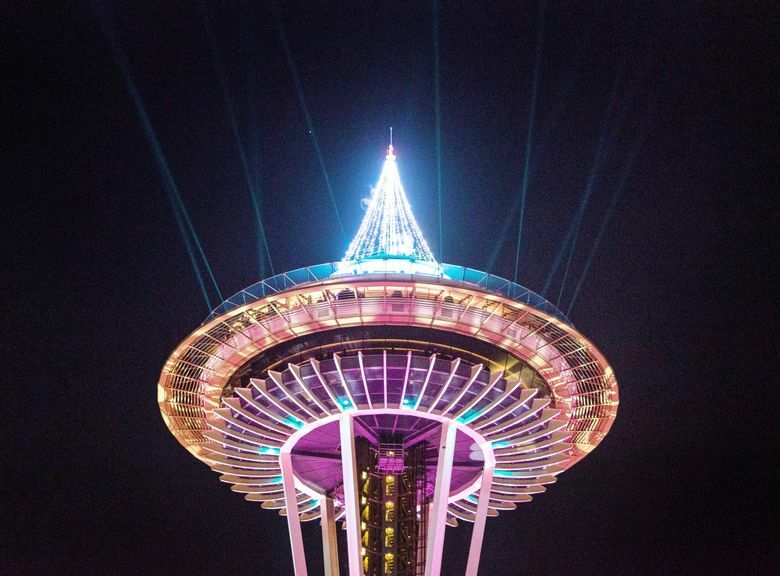 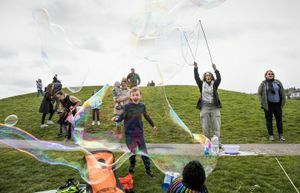 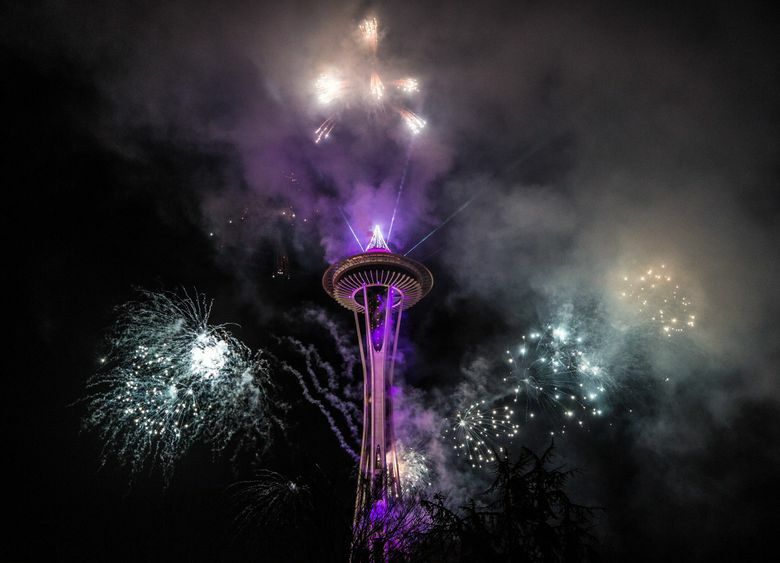 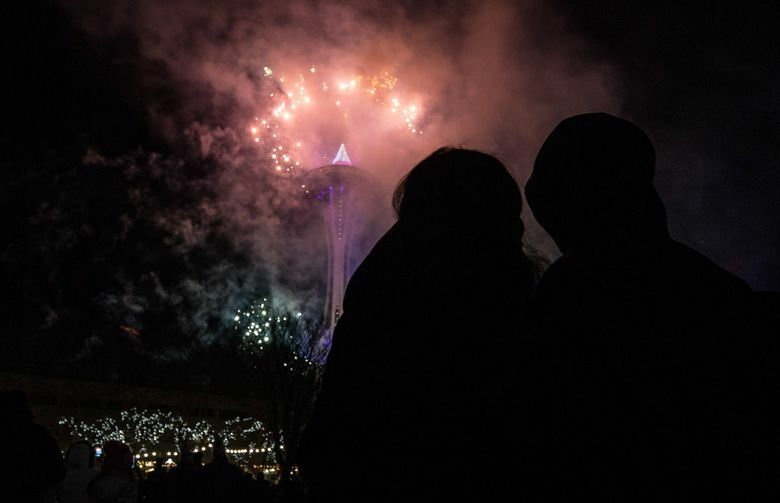 The celebration was the first New Year’s Eve since the Space Needle’s massive renovation, which allows visitors to stand atop a glass floor and see fireworks “literally going off beneath their feet,” Mandapat said. 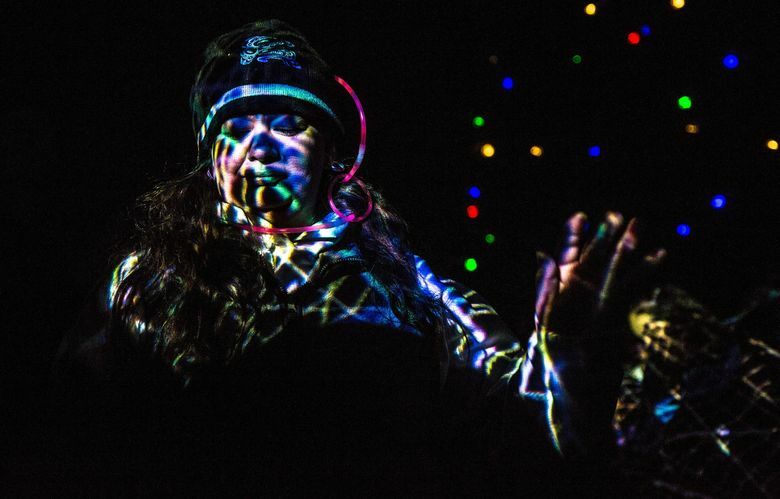 “We wanted to evolve the show into something grander than it’s been,” Mandapat said. 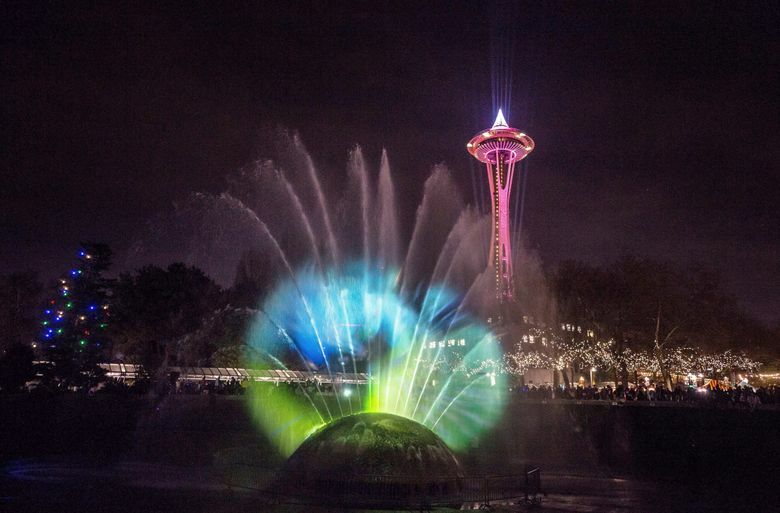 The 30-minute light show glowed on a clear evening despite heavy fog earlier in the day. 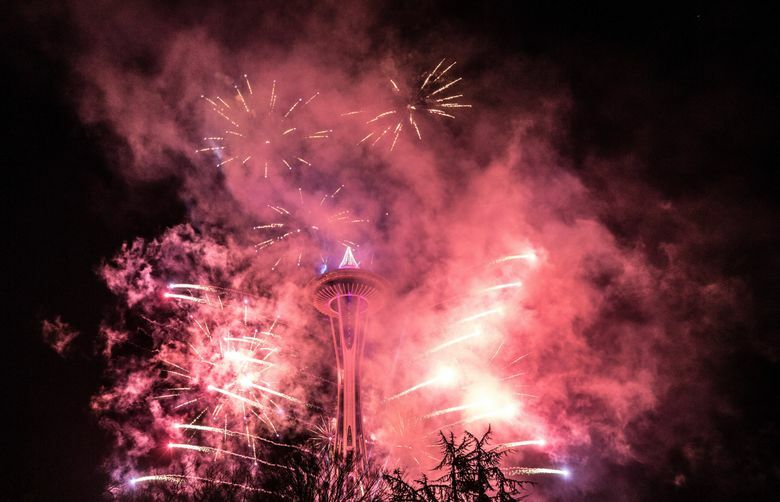 The fireworks began at midnight and lasted about 10 minutes.